Farmalabo has created a new beauty treatment: CHARIS Remove Stains Cream. Its innovative formula performs a triple action: depigmenting, protection and moisturizing. 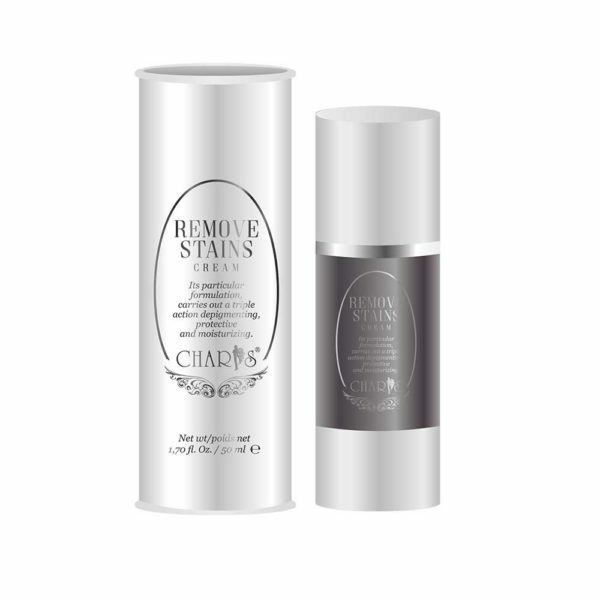 CHARIS Remove Stains Cream is not greasy, bleaches the skin of the face and protects from environmental pollution and free radicals. It’s a bleaching cream that reduces the accumulation of melanin and gives uniformity to skin tone. The active ingredients promote the cellular turnover, associating a continuous exfoliating and bio-stimulating action to the lightening action. 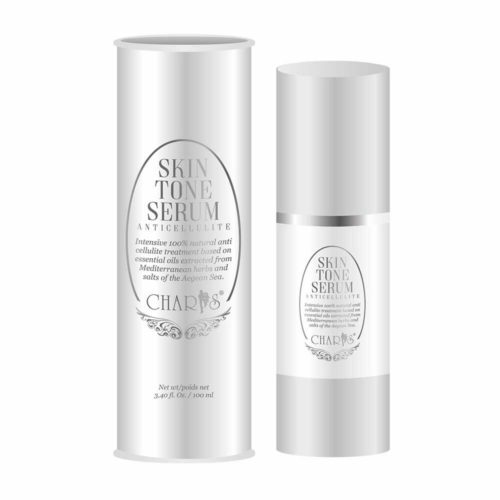 The clinical results classify CHARIS Remove Stains Cream as a multi-level treatment with both preventive and reactivating action. This is due to the particular structure of the active molecules combined to correct dark spots, dull complexion and loss of uniformity. We recommend to use the cream every day to prevent the harmful effects of light and cellular oxidation. Clinical studies have shown a reduction of up to 80% of skin patches after a 3 month-treatment. 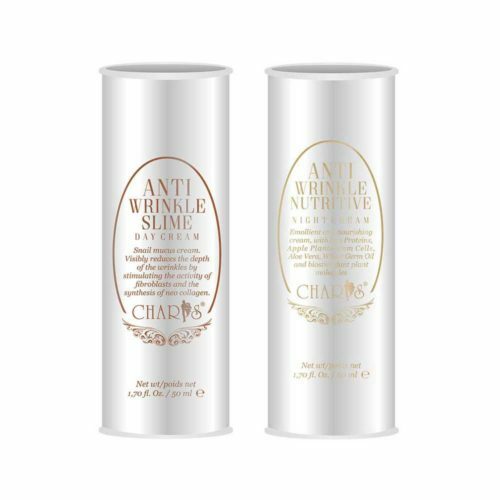 CHARIS Remove Stains Cream is proposed in an airless packaging that guarantees hygiene, prevents oxidation and preserves the integrity of the active ingredients. 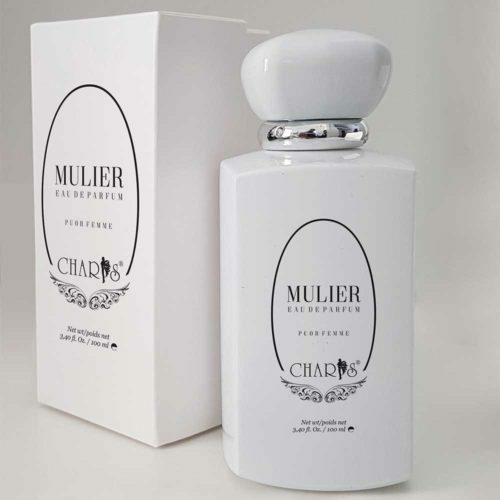 Tested on women between the ages of 30 and 70. The effectiveness of the product was evaluated by comparing the initial values with the results obtained after 12 weeks of treatment. The clinical results have shown an improvement of the skin patches around 80% after a 12 week-treatment (1 cycle) and of 100% after 3 complete cycles. Some of the best European dermatology laboratories have issued specific licenses confirming the highest safety standards for our consumers. Apply the cream every day, before going to sleep on the dry and clean skin, taking care to cover the face, neck and / or décolleté, avoiding the eye contour. Massage until fully absorbed. Aqua (Water), Caprylic/capric triglyceride, Propanediol, Glyceryl stearate, Butyl methoxydibenzoylmethane, Ethylhexyl, methoxycinnamate, Persea gratissima (Avocado) oil, Cetyl alcohol, Stearic acid, PEG-100 stearate, Maltodextrin, Pisum sativum (Pea) extract, Sodium ascorbyl phosphate, Tocopherol, Sucrose dilaurate, Malus domestica fruit cell culture extract, Butyrospermum parkii (Shea butter), Helianthus annuus (Sunflower) seed oil, Sodium lactate, Sodium cocoyl glutamate, Glycerin, Sorbitol, Urea, Sucrose, Xanthan gum, Sodium citrate, Glycolic acid, Malic acid, Tartaric acid, Tetrasodium glutamate diacetate, Parfum (Fragrance), Lecithin, Pentylene glycol, Polyacrylamide, Laureth-7, C13-14 isoparaffin, Phenoxyethanol, Ethylhexylglycerin.